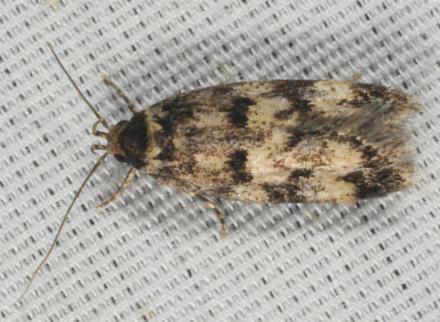 The moths of this species have speckled off-white forewings, each with three or four dark brown or black transverse often fractured zig-zag bands. The hindwings are off-white shading to brown at the wingtips. The wingspan is about 1.5 cms. Series 2, Volume 3, Part 4 (1889), p. 1592, No. 614 (139a).